It was only a matter of time, after the success of the two Paddington movies, that we would see a live action Winnie the Pooh film from Disney, who now own the franchise. 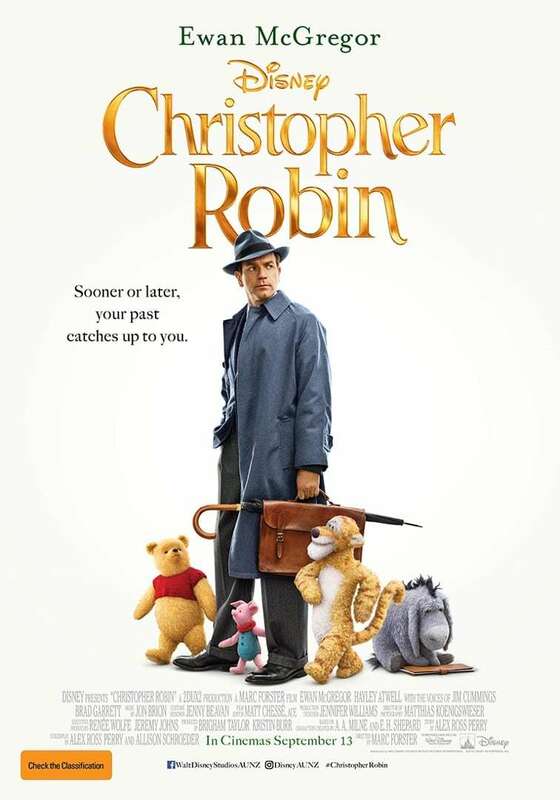 Christopher Robin is that movie, Ewen McGregor at his charming, essentially good chap, best and the beautiful Hayley Atwell as his wife. In the interests of full disclosure, let me state at once that I have been a life-long devotee of Pooh. One of my earliest memories is of being curled up against my mother on the couch, helpless with laughter, while she read to me about the Heffalump and Piglet's grandfather, Trespassers Will. I'm also what my son calls a purist. I was not a fan of Disney's drawings, having loved EH Shepard's illustrations and I don't like the liberties taken with the truth - always a danger when writing fiction about real people. The most obviously glaring errors are that Robin is not his surname, so calling his wife 'Mrs Robin' is a nonsense. His wife's name was Lesley, not Evelyn and their daughter was Clare, not Madeline, and she suffered from severe cerebral palsy. 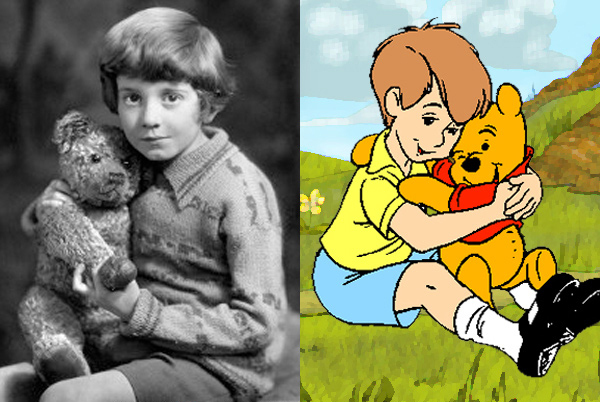 A result is that the animals call Christopher Robin 'Christopher', which strikes one as over-familiar if you only know Pooh from the books. However, let all of that go and enjoy the film for the purest fiction that it is. The plot is familiar - child hero grows up, loses innocence, gets boring and is rescued by childhood - Hook with cuddly toys instead of Lost Boys. The actors are lovely, the plot line a not unusual rebuke for working too hard and neglecting family and a good deal of the outdoor filming took place at Ashdown Forest, the real 100 Aker Wood of the stories. The CGI is well done and the voices of the animals perfection. Winnie the Pooh is played by Jim Cummings, who has voiced Pooh for Disney since 1988. Rabbit is voiced by the most recent Dr Who, Peter Capaldi, in an un-recognisable accent. This is really film for children, who will enjoy it, and for those unfamiliar with the books but love Disney's animations. They are really intended for quite different audiences, but it is interesting to compare this movie with the recent Goodbye, Christopher Robin. Not everyone was enamoured of Pooh when the books were first published. Dorothy Parker, wit of the Algonquin Round Table, in her book review column Constant Reader took exception the use of the word 'hummy'. "It was at this second use of the word that Tonstant Weeder Fwowed up". Recommended for the young and young at heart.